Home Blog How Much Does it Cost to Develop an iPhone App for Businesses? How Much Does it Cost to Develop an iPhone App for Businesses? In the smartphone OS industry, Android phones have a higher penetration rate and have surpassed iPhone with the number of users, but iPhone still remains the industry leader by providing the maximum ROI for mobile apps developed on iOS platform. There are many reasons why iPhone Apps are more popular compared to the other OSs in the market. Better user experience, higher in-app purchases, better security for enterprises are just some of the features that iOS can boast of. This has also led to an increase in companies who develop iPhone apps both for consumers and enterprises. 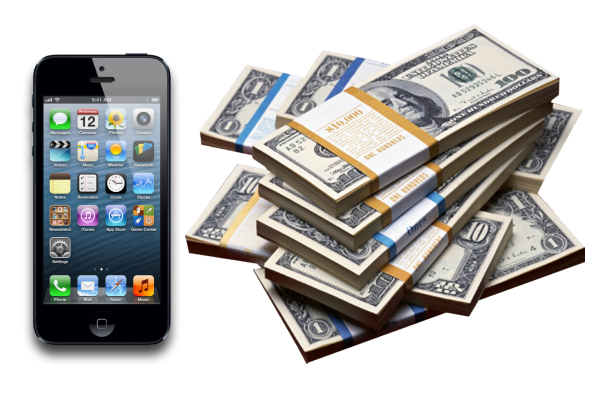 The question that arises here is – How much does it cost to develop an iPhone app? The answer differs in terms of what needs to be developed – a consumer iPhone app or a business iPhone app. Need help?We can help you build engaging iOS app at an affordable cost. Consumer iPhone applications are those used by end consumers and can be purchased from the Apple App store. Few popular consumer iPhone apps include Instagram, Candy Crush Saga, YouTube, and TED. iPhone is a great productivity tool for professionals and a business iPhone app can simplify your daily business operations. Be it managing your calendar, dictating voice memos, or reviewing the budget, business apps help you keep a daily tab on tasks. Building a business app is like building your own house. You need to be aware about the hidden costs, the time delays, and the efforts required. A survey conducted to find the iOS app development cost of a business iPhone app is divided into three complexity levels with respective pricing structure. For a simple plug n play enterprise app, the development cost comes to around $50K, for a medium complexity business app the price rises to $100K, and for a highly complex business app the cost shoots upto $150K. Some popular enterprise iOS platform applications that companies look to invest in include CRM, ERP, Business Intelligence, Field Services, Custom Sales tools and more. There are many apps already in the market like Salesforce’s Apttus, Docusign and ServiceMax that enable companies to get better productivity from their employees. Despite the huge initial investment, companies are ready to take the risk because of extremely high returns. Many studies have shown that iPhone apps with their ease of use and robust functionality have helped companies improve their business efficiency. The costs for mobile application development can be divided into two categories – direct and indirect costs. 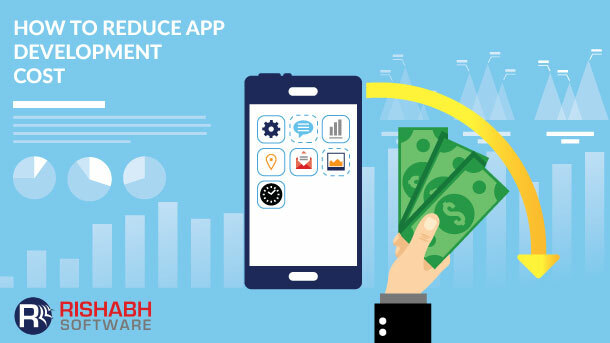 Direct costs are mainly the hourly development rate of the mobile app and indirect costs include the expenses occurred for recruiting, tax, operations, and other overheads associated with individuals working on mobile projects. Rishabh software helps you save direct and indirect cost of developing an iOS app. With our large pool of highly skilled resources and extensive app development experience, we can help you generate quick ROI on your iPhone app development cost.